There is nothing better than finally reaching Pay Day after such a busy month. 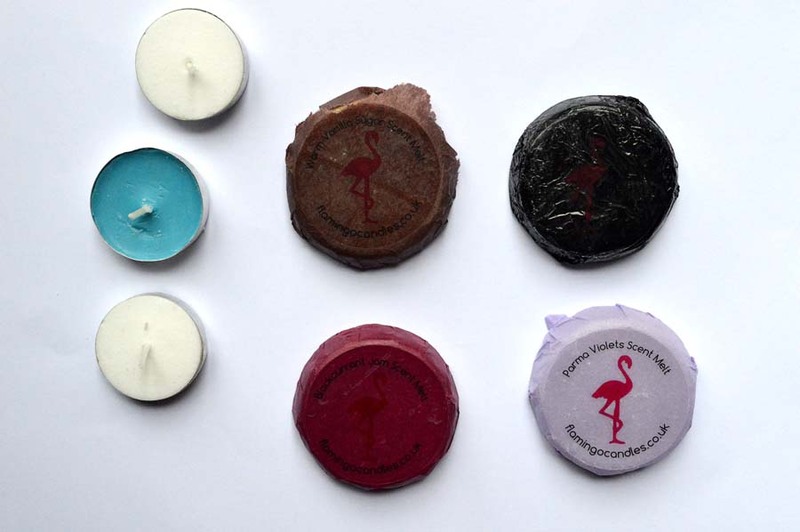 The cherry on top is always receiving my Flamingo Candles Melt Crowd subscription box through the post, I swear I can smell it before I see it in my letter box. What’s better? I’d say this months box is the best yet. 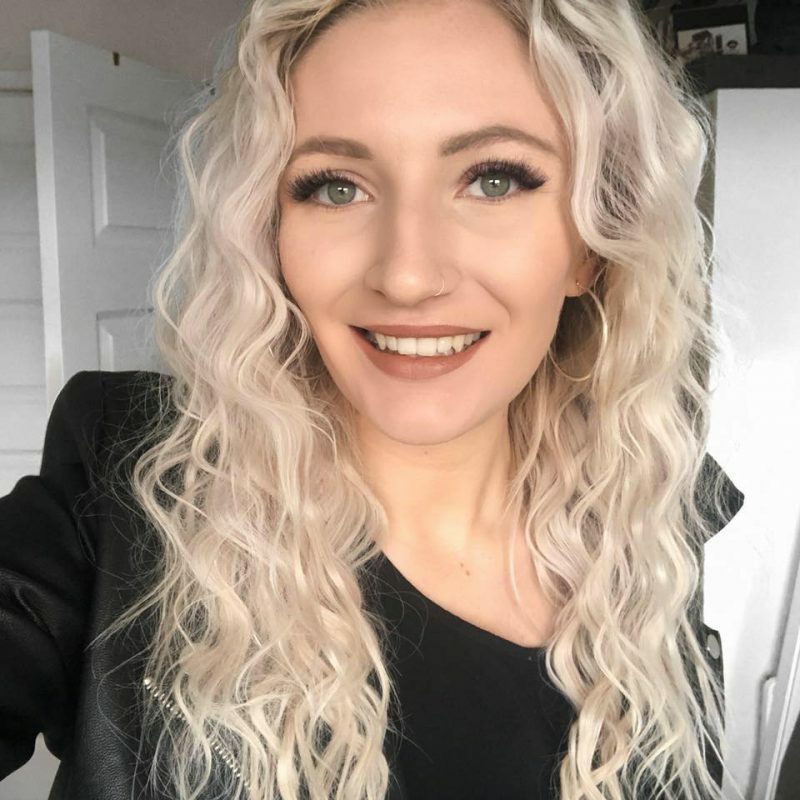 Flamingo Candles knows how to make every months box unique with new scents and with the introduction to a few of their Christmas range, I couldn’t be more excited to make my flat smelling festive. Bah! Humbug | A melt crowd exclusive scent. What I can smell as the signature scents in this one is a warm twist of peppermint and vanilla. I LOVE Christmas related anything and I’m pleased they’ve made an appearance in Novembers box, The black colour suggested the scent would be extremely over powering or quite heavy, yet both are completely wrong, this is the perfect melt to get Christmas in the air. Really love the exclusive scents. Blackcurrant Jam | Now this hits all the boxes. I love fruity and I love winter and this reminds me of both. It really reminded me of Mulled wine (potential scent for next month?) and smells gorgeous. Now this has filled my flat so well and the intensity of the scent is amazing. If you love anything fruity, you’ll love this. Parma Violets | Now this fills me with nostalgia. As a kid, these were my favourite sweets and the blend of violets and roses really take me back. I can’t wait to melt this and I’m going to be saving it for a night of Disney films just to pretend I’m 7/8 again. Love it a lot, and I can imagine this would make a great Christmas present for mums. Warm Vanilla Sugar | Another Melt Crowd exclusive here! With the mail man being so determined to get this in my letter box, this little guy broke into two, not that affects its ability to melt. It is a sweet smelling scent, yet very different from ‘Candy floss’ we saw a few months back. Again, it has very Christmassy undertones and I’m looking forward to melting this. Darjeeling Tea | This smells amazing. It’s a very fresh scent with hints of exotic notes. It kind of reminds me of a clean cotton but better kind of smell, one that will make your home smell clean whilst being uplifting all at the same time. This is the kind of fragrance I can’t imagine anyone disliking and therefore would make a great Christmas present. Christmas Tree-o | I could have swear on Tuesdays post I said I had never seen a Christmas Tree candle before, it’s like Flamingo Candles read my mind and created another scent that smells heavenly. It’s very earthly and warm whilst being extremely festive. It’s a melt crowd exclusive, but I can imagine this is going to be one that will be released in a Christmas line. It’s basically Christmas in a melt, and I really love it. May have to get a big version with my 20% discount code. Blackberry & Bay Leaf | A mix of blackcurrant, lemon and green leaves makes another very ‘clean’ smelling candle. I’ve heard a few people are disliking this scent, but I can’t imagine why? It’s a very subtle fragrance that will make your home smell really, really good. There isn’t a single fragrance I dislike in this months box and this is probably just the least overwhelming of them all, but it is always good to have a mix. Violet & Lime | You know just how much I love fragrances that are infused with lime, and this is also a winner. I’d say it compromises of a good mix of fruit and floral to make another subtle, yet delicious smelling melt. I had hoped the lime would be more dominant, but when it melts, you can really smell the different infused ingredients as it expands throughout the room. 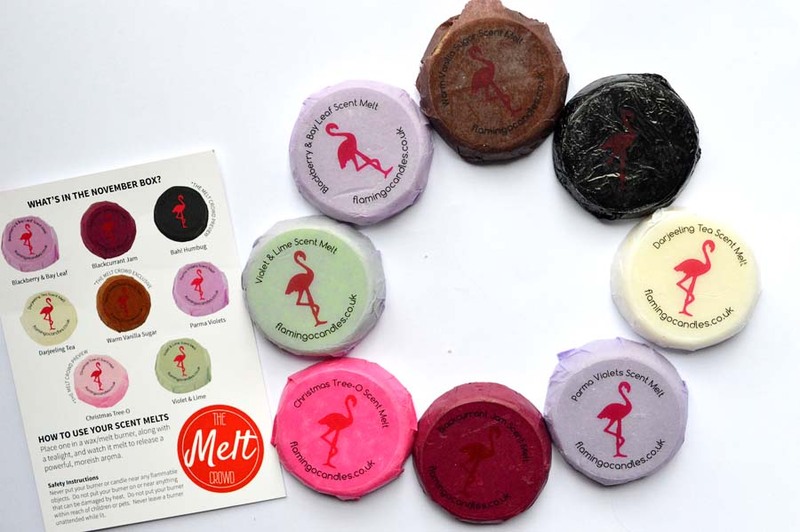 It’s hard to judge a melt as a solid object, but all of the wax melts are amplified when melted and it’s then they come into a world of their own. So there we have an amazing box full of delicious flavours and scents. I’m SO happy with this months selection and can’t recommend this subscription box enough for any candle lovers out there. It would also make for a fantastic Christmas present for anyone who loves fragrances, with no length of subscription and a free wax melter on the first months box, you can’t go wrong! What do you think of this months box? Let me know!